The advent of supermarkets/malls has, during the last five years, decisively influenced consumers� behaviour, creating a new community of enthusiastic shoppers drawn from the upper and middle classes. How attractive retail stores and shopping malls have been to the consumers is reflected in an official report related to private consumption. It says there has been a massive growth of 130 per cent in private consumption in the last five years (2007-12), even though the GDP growth rate during this period was sluggish. The retail and wholesale sector has been growing at 5.3 per cent in real terms for the past five years. Currently, one can witness a boom in shopping at giant retail stores and shopping malls, which also house brand shops. Customers are seen buying zealously, belying the fact that inflation has made life of the middle class miserable. More and more malls, which also have restaurants, sport complexes, multiplex cinemas, and a large number of shops, are coming up in big cities. These places are also preferred by citizens for being relatively more secure, as they have well-organised security systems that traditional shopping centres lack. The reasons for this boom are, however, difficult to trace. It is estimated that the average consumer spends up to 42 per cent of his income on food. As far as fresh food produce is concerned, consumers have historically preferred to shop at traditional �kiryana� stores, enjoying the satisfaction of personally chosen fruits and vegetables, at the right prices. But why consumers gradually moved towards local supermarkets and more recently, towards wholesale centres, remains to be explained. A range of factors must have affected the shift in their buying decisions. Household size, education, and income, put together, have a decisive influence over shopping decisions. A Karachi-based study has revealed that a majority of households with 6-8 family members shop at general stores, whereas those with smaller family sizes (3-5) shop at large supermarkets. It was also observed that those having an average monthly income exceeding Rs35,000 shopped at supermarkets. Those with lower education typically chose general stores. Overall, convenient and quality shopping has led consumers towards modern retail shopping options. According to another study, a majority of consumers seek quality products in adequate quantities under one roof. For about 52 per cent of those surveyed, convenient and attractive display was also a strong driving factor. The consumers are then able to make �planned� purchases, as opposed to need-based ones. In fact, for many, a trip to modern retail and wholesale centres may even mean a pleasant family outing. Such growth in the retail industry is crucial to maintaining its competitiveness compared to other Asian giants. India is currently the fifth largest global retail market, valued at about $400 billion, and is expected to grow by an additional $200 billion by the end of 2014. Trends in Pakistan are also seen quite encouraging, as far as the development of new retail formats and the establishment of a large number of global chains� retail outlets all across the country is concerned. During the last few months, two new big malls opened in Karachi, and another four are in the line to be ready by the end of next year. There are already dozens of giant retail stores and malls, with their branches and middle-size superstores spread across the city. A German retail giant opened its first outlet in 2007 in Karachi. Since then, it has established 12 more outlets in the country. Lahore, the second biggest city, has a number of malls and retail stores that cater to all possible consumer needs under one roof. And while a few big names in the consumer goods industry were considered attractive for the common customer, the shopping mall era has changed all that. The introduction of new domestic and international brands over the past few years has created the need for well-organised shopping malls where they can all be housed together. 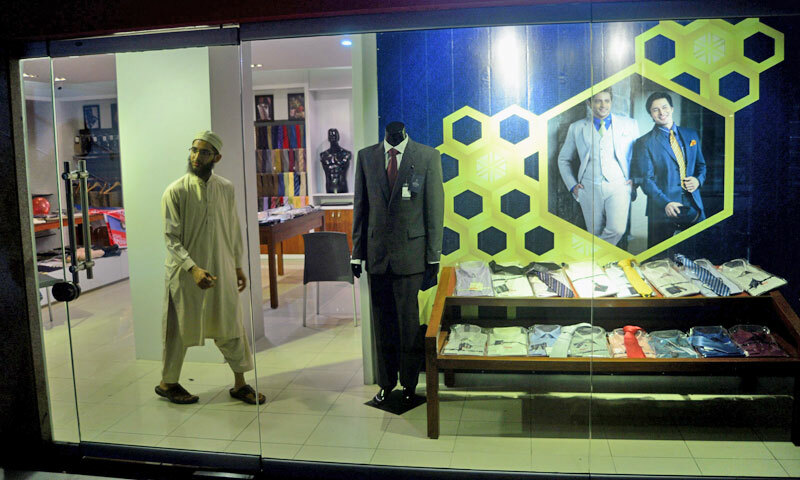 A Pakistani retailer introduced Lahore to the concept of shopping malls more than a decade ago, and its shopping mall remains one of the most sought-after outlets. The group is currently operating four malls in Lahore, one in Gujranwala and one in Gujrat.